HOW TO KEEP YOUR KIDNEY HEALTHY? 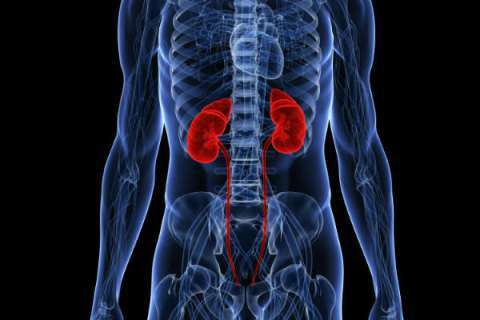 Home » Symptom » Tips » HOW TO KEEP YOUR KIDNEY HEALTHY? Kidneys are very important to our health and plays an important role in our body. Kidneys eliminate toxins, filter the blood, absorb minerals and neutralize acids. Damage to the kidneys can often go unnoticed for years, as kidneys can function, with as little as 20% of their capacity. This is why the term “Silent Diseases” are called for kidney diseases. It is therefore very important to take care of them before it is too late. Below are a list of 10 common habits that put a lot of pressure on your kidneys and can cause serious damage over time. Less drinking water, can make toxins amass in the blood, as there will not be enough fluid to drain them through the kidneys. Frequently retaining urine on a regular basis increases urine pressure and may lead to kidney stones even kidney failure. Too Much Salt In Your Diet The body needs salt or sodium to work properly. It is recommended that no more than 5 grams of salt should be eaten on a daily basis. And also practicing correct lavatory habits without retaining for long, would give a support to refrain from the kidney failure. Individuals who consume at least 2 or more sugary drinks per day are more likely to have protein in their urine. Protein in your urine, is an early sign that your kidneys are not doing their job as they should. A study conducted at the University in Japan suggested that drinking 2 or more soda drinks per day, can result to a higher risk of kidney disease. Those that consumed a huge amount of soda were more likely to have protein in their urine. Proteinuria or protein in urine is an indication of kidney damage, but, when discovered at that stage, the disease can still be reverse. Not Getting Enough Sleep Getting a good night’s sleep is not only beneficial to your health but to yor kidneys as well. Kidney tissue gets renewed during the night, so sleep interruptions may cause damage to this organ. Consumption of too much protein, most especially red meat increases the metabolic load on your kidneys. More protein in your diet means the kidneys have to work harder and may eventually lead to kidney damage or dysfunction over time. Alcohol is a legal toxin that puts a lot of stress on the liver and kidneys when consumed in large amount. Drinking a glass of beer or red wine once in a while is good, but consuming more than that is not healthy. A diet rich in fresh fruits and vegetables is vital for your kidney function and overall health. The risk of kidney failure and kidney stones are higher when vitamins and minerals are deficient. Magnesium and vitamin B6 are very important in reducing the risk of kidney stones.